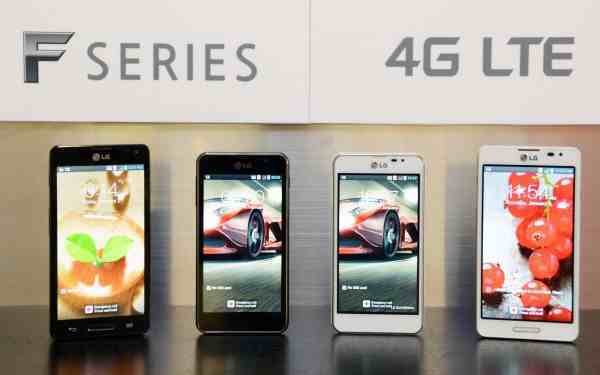 LG announce the F-series before MWC: LTE for the masses. LG are really trying to steal all the headlines before MWC! We've already heard all about the L-Series, the G-Series and here is the F-Series! There are two devices pictured above, they're the smaller F5 and its bigger brother the F7! So we've got a good pair of devices here both of which run Android 4.1.2 Jelly Bean. We wouldn't be surprised if they pop up with reasonable price tags too especially on LTE networks! It's just a huge shame LG have made them look so similar to Samsung's Galaxy devices, we would have love to see them try something a bit different! Now LG we just need to know about the V-Series, but leave us a couple of surprises for MWC!